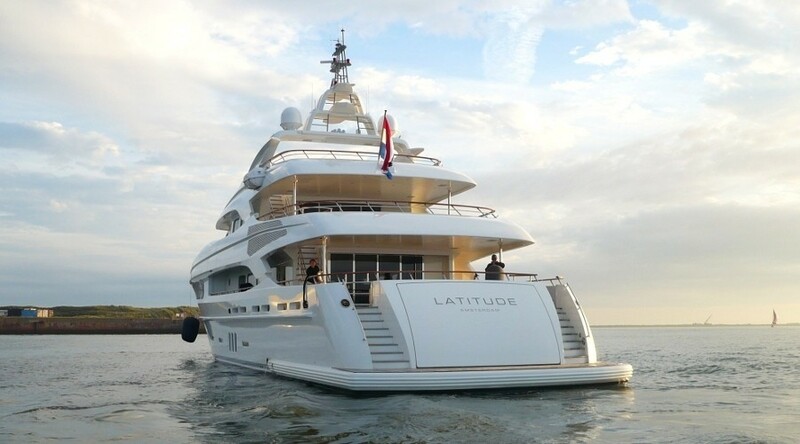 Motor yacht LATITUDE is a 2010 charter yacht as built by Dutch Yacht Builders and designed by Cor D. Rover, with naval architecture by Van Oossanen & Associates B.V and interior design by Piet Boon design Studio. 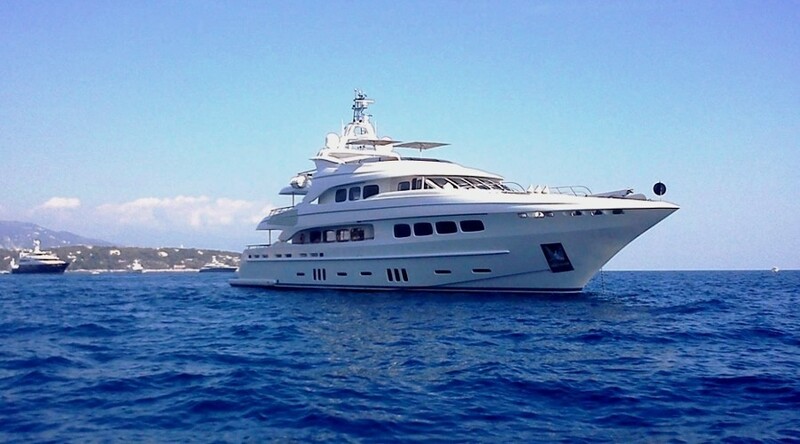 Superyacht LATITUDE is available for Adriatic Sea and Mediterranean yacht charters with a maximum of 12 guests as accommodated in 6 staterooms. LATITUDE measures 43.5m (142ft) and boasts a tri deck layout and eye catching lines, while the interior offers a simple sophisticated décor. 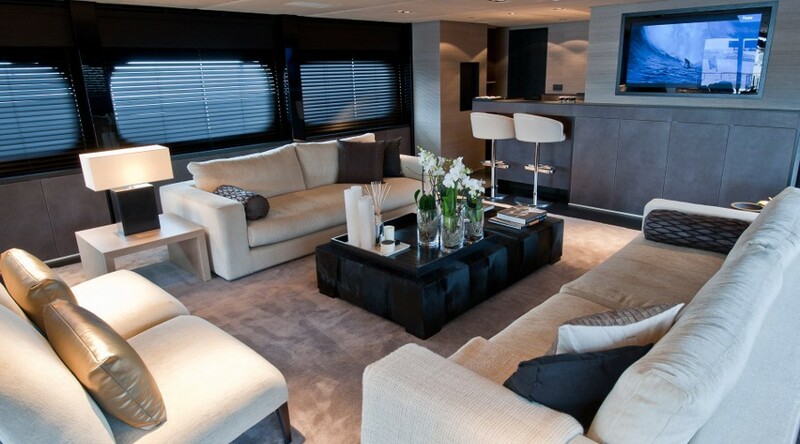 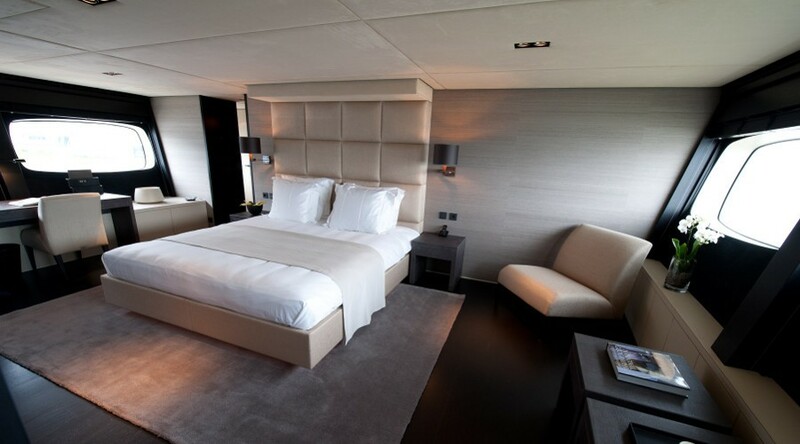 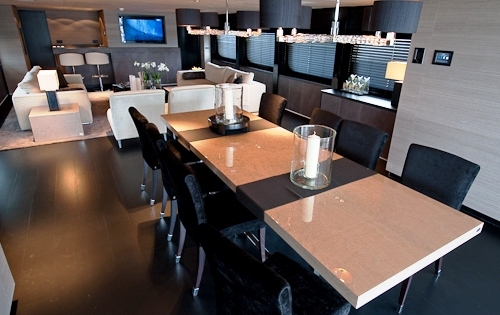 M/Y LATITUDE’s interior is serene and elegant, offering soothing neutral soft furnishings in cool greys and subtle creams, beautifully contrasted with rich dark wood panels. 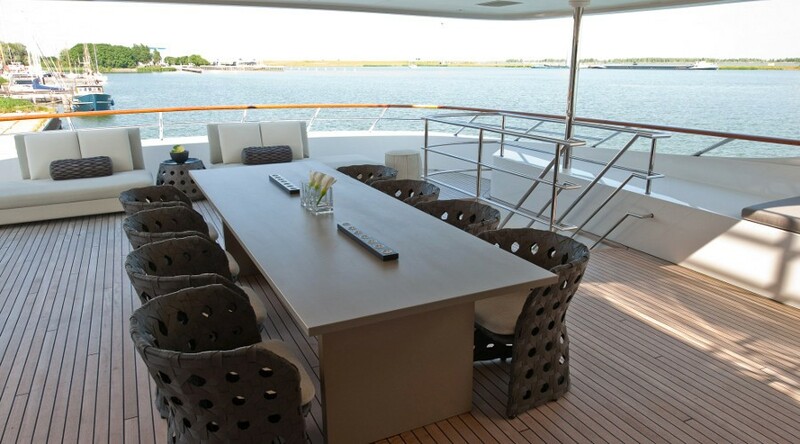 The main deck boasts an open plan lounge and dining, with the dining aft and lounge forward, a wet bar compliments the space and is ideal for entertaining. 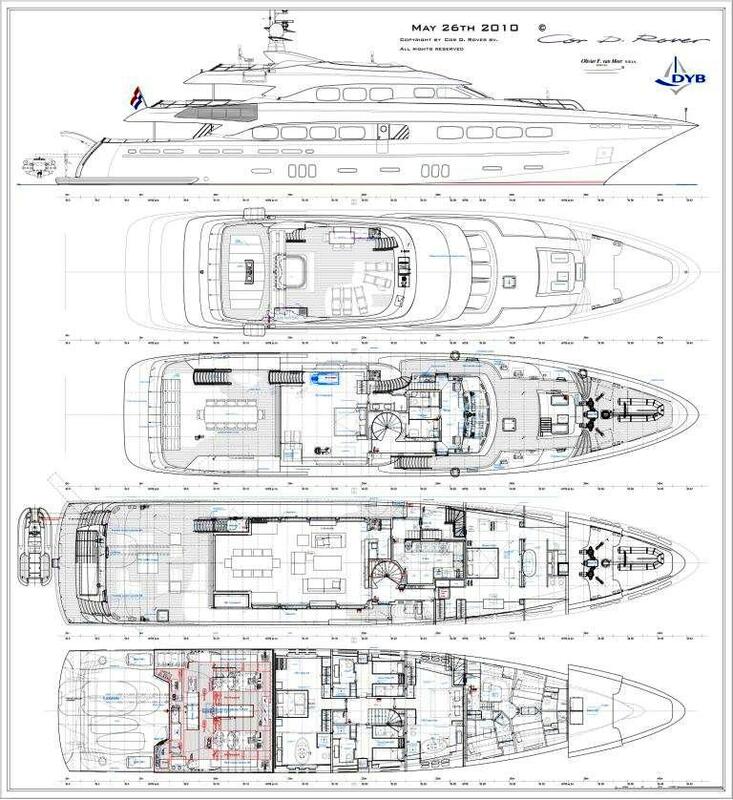 Forward of the salon lounge and dining, is the full beam master stateroom with king size bed, seating, vanity and full beam en-suite, with deluxe freestanding tub. 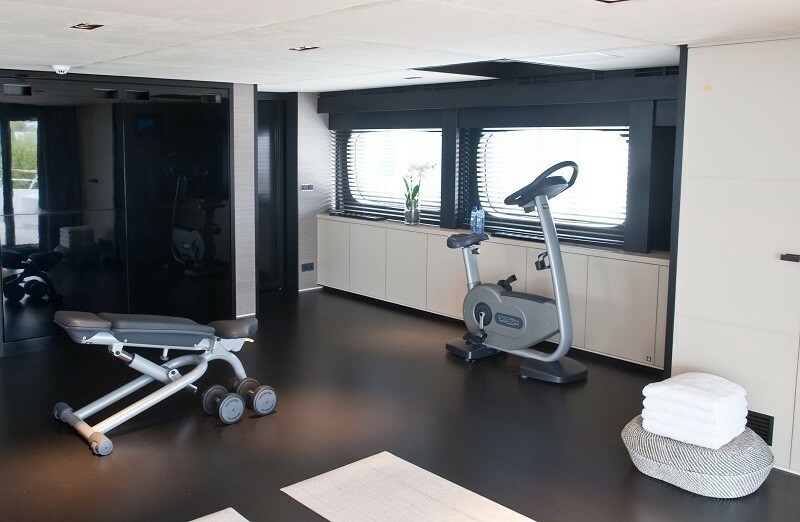 Above the main deck, a convertible full beam double cabin transforms into a full equipped gym, with treadmill, elliptical machine and more. 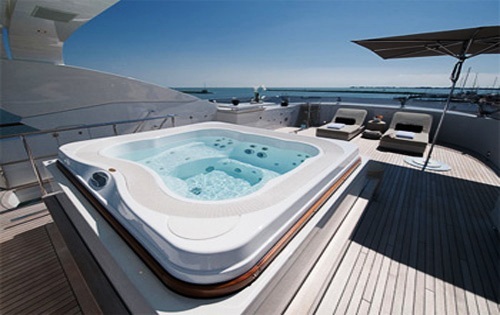 Further guest accommodation is on the lower deck in 2 full beam VIP cabins, with en-suite facilities and free standing tubs and 2 twin cabins, offering single side by side beds. 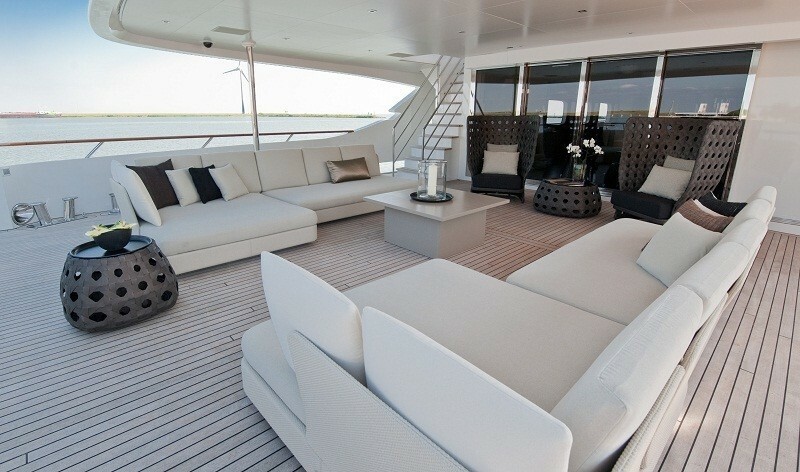 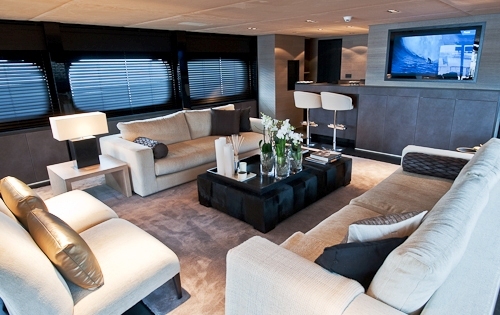 Charter yacht LATITUDE has plenty of exterior deck space to lounge, entertain and relax. 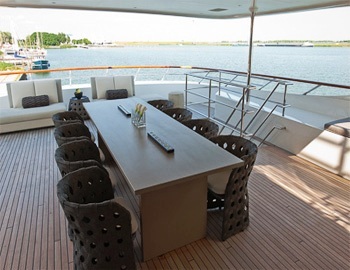 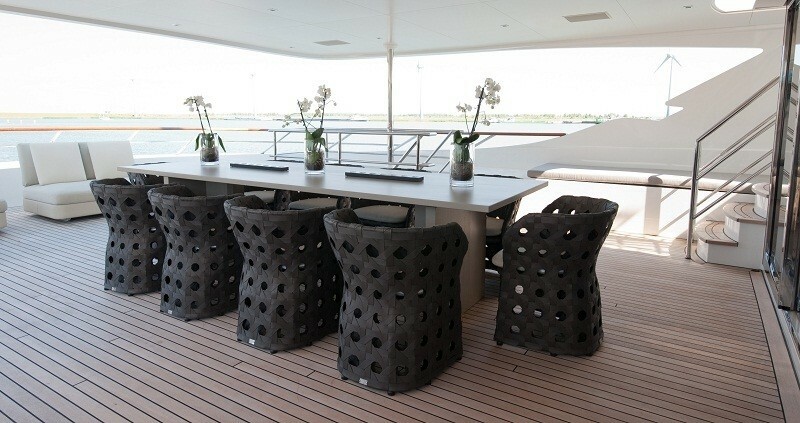 The aft deck is a social hub adjacent to the formal dining and boasts a shaded area, with ample lounge seating. 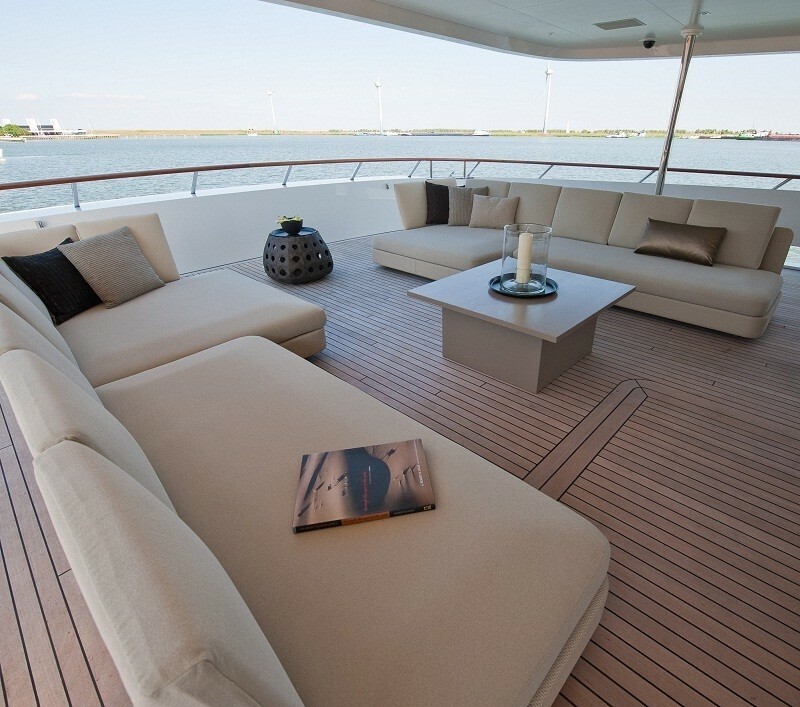 The upper deck has an alfresco dining option adjacent to the gym, also ideal for a private deck from the convertible double cabin. 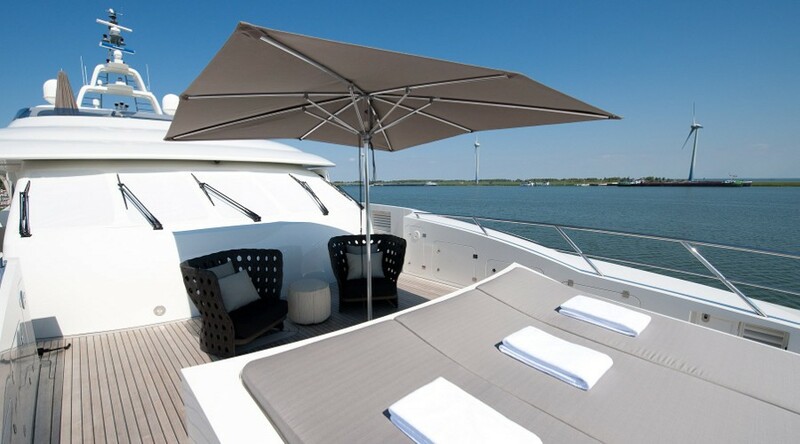 For a quiet escape, the upper deck leads forward to a comfortable seating area with optional shade and double sunpad. 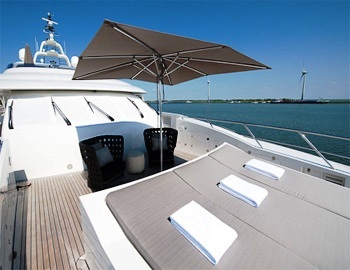 A sundeck is well appointed and boasts chaise lounges, wet bar, service area with grill and luxurious Spa Pool tub. 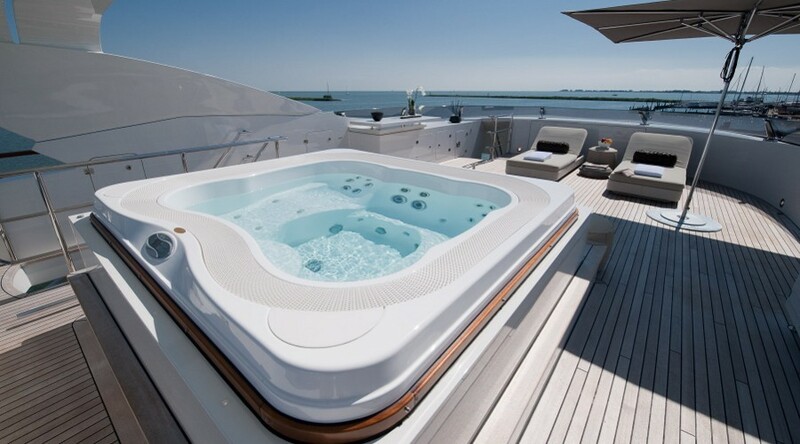 Active guests will appreciate the vast array of water toys on offer, ideally accessed from the extended swim platform. 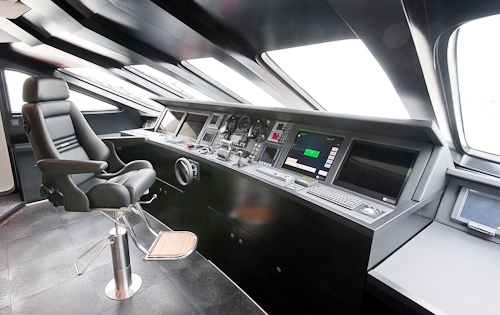 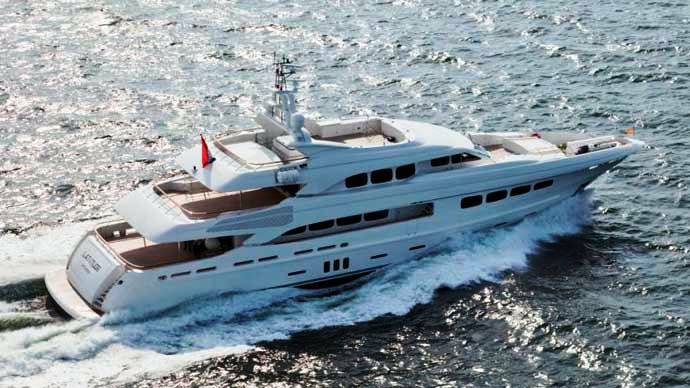 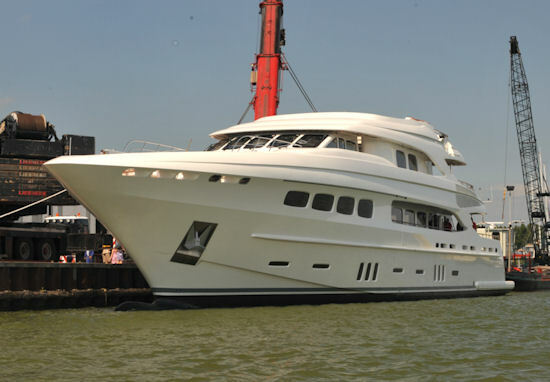 M/Y Latitude has twin MTU diesel engines giving 4,900 hp and a cruise speed of 18 knots. 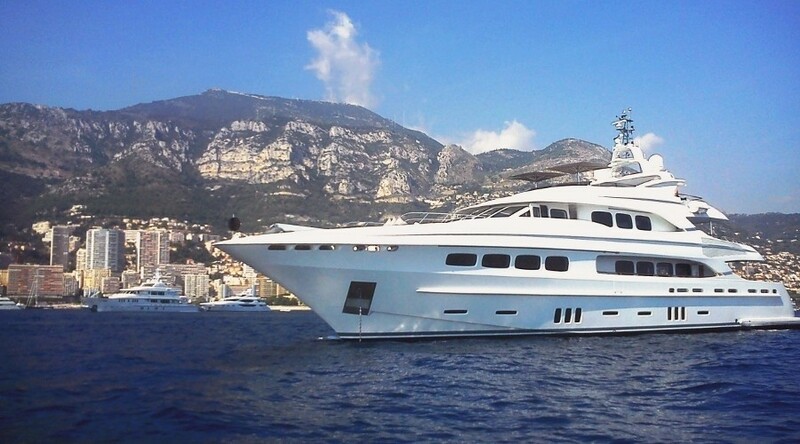 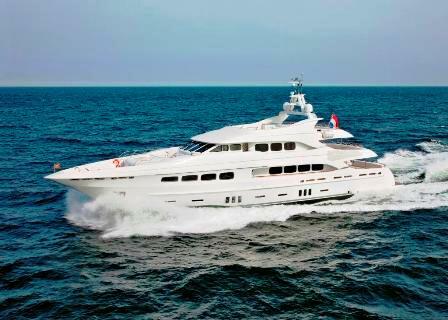 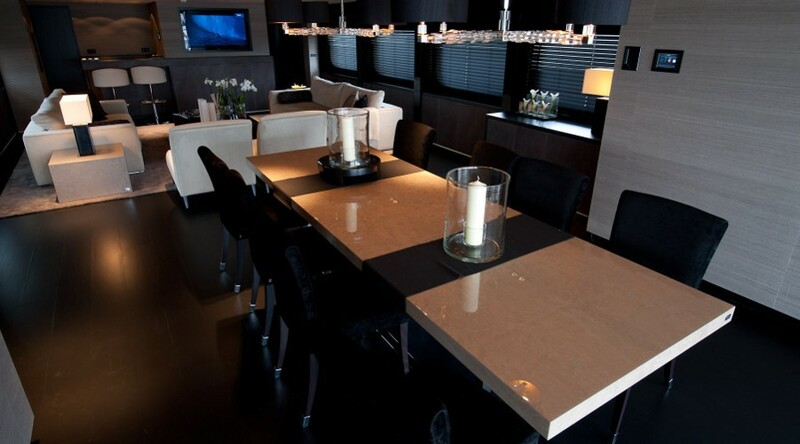 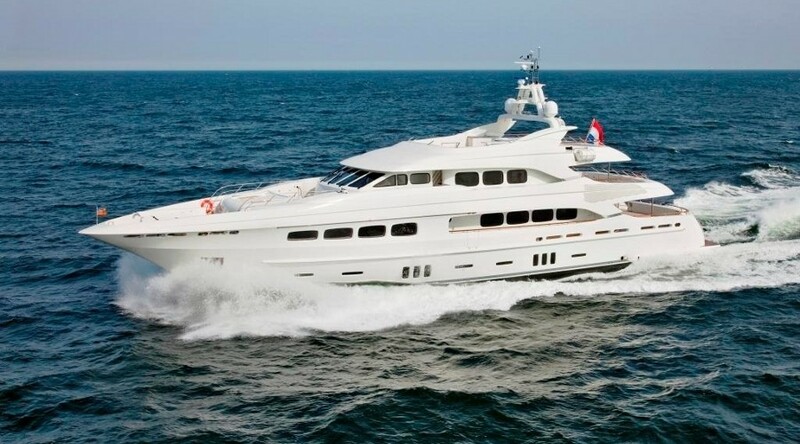 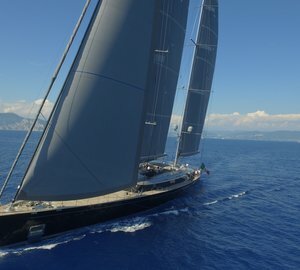 Superyacht Latitude offers charter accommodation for 12 guests in 6 cabins consisting of 4 doubles & 2 twins. 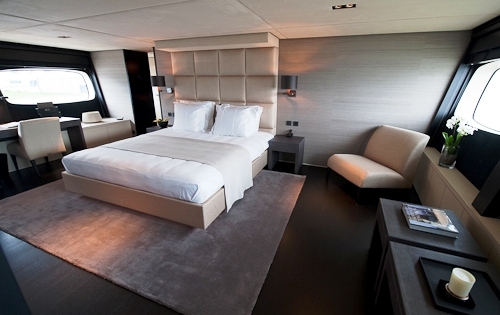 The master stateroom is on the main deck forward and boasts a full beam layout and full beam deluxe en-suite. 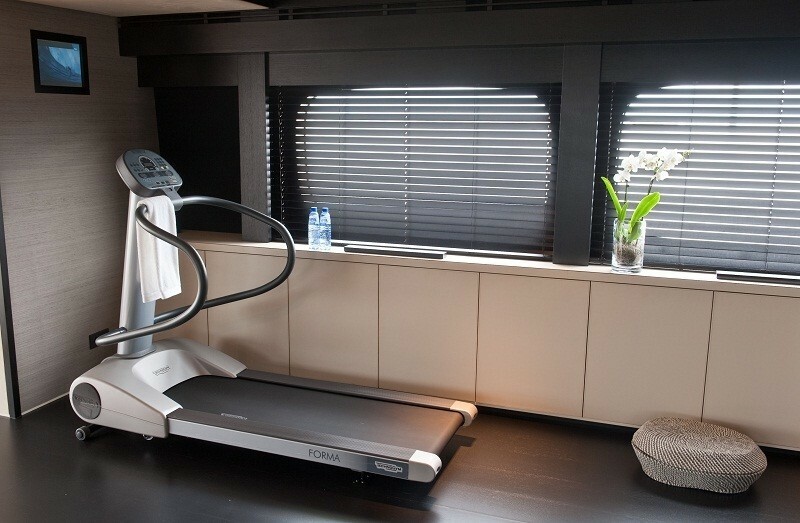 A guest double is on the upper deck, with the ability to convert into a gym. 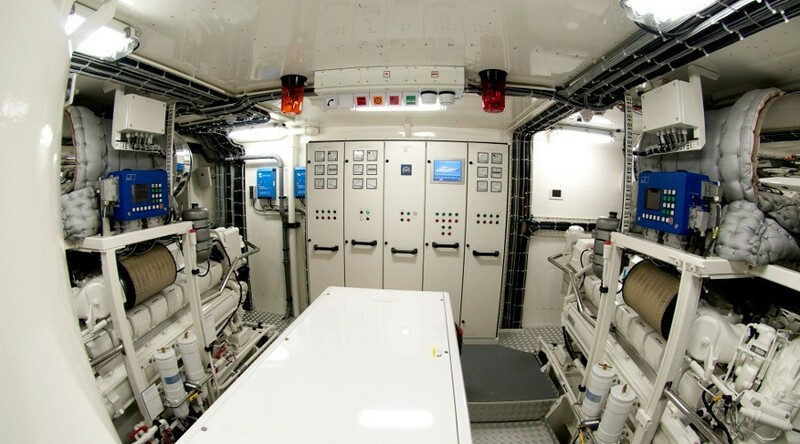 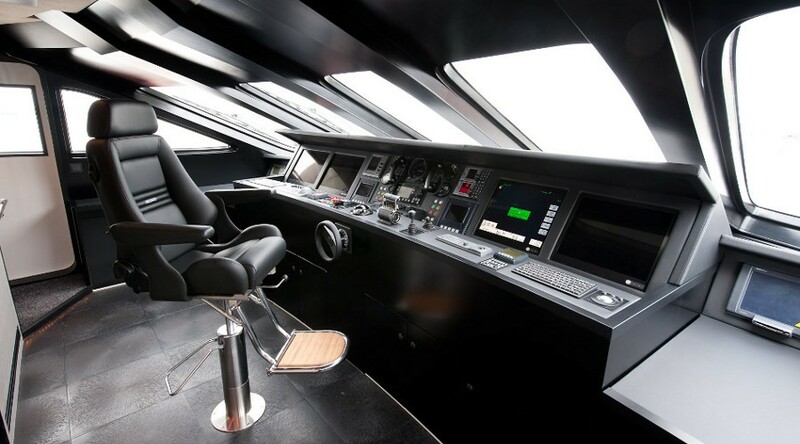 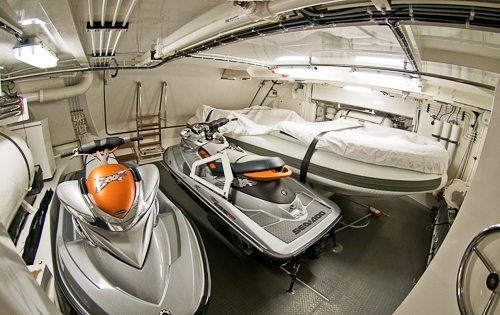 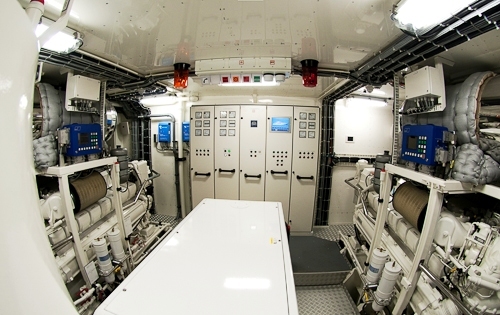 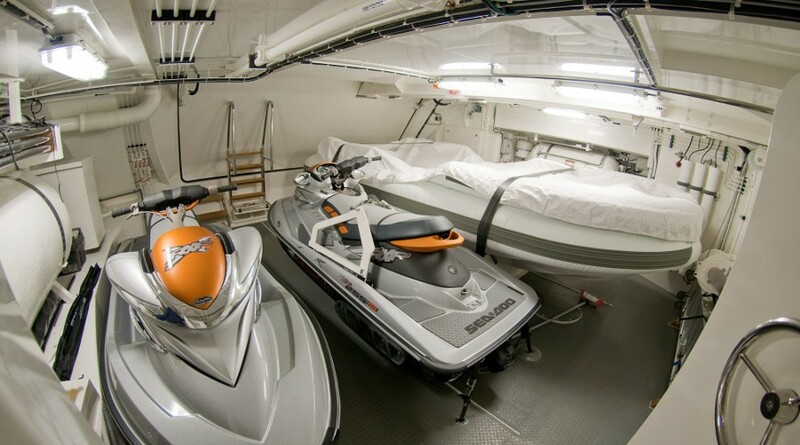 Below decks, 2 full beam VIP cabins offer center lined king size beds and en-suites with deluxe tubs. 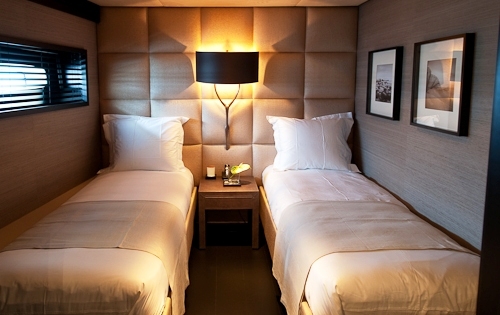 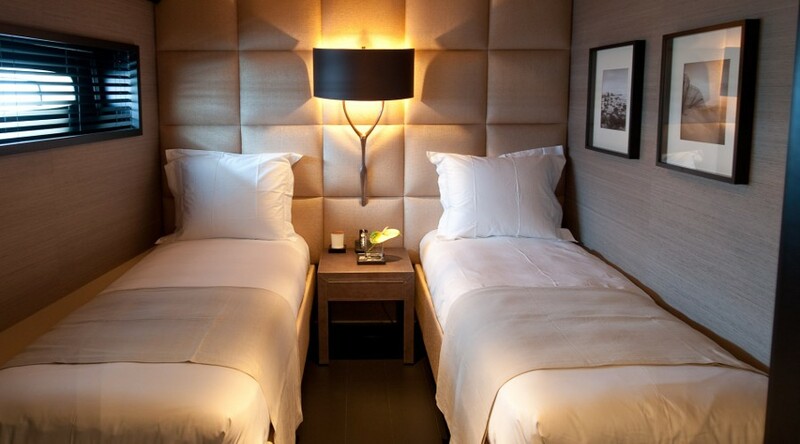 Two further guest cabins have side by side twin beds. 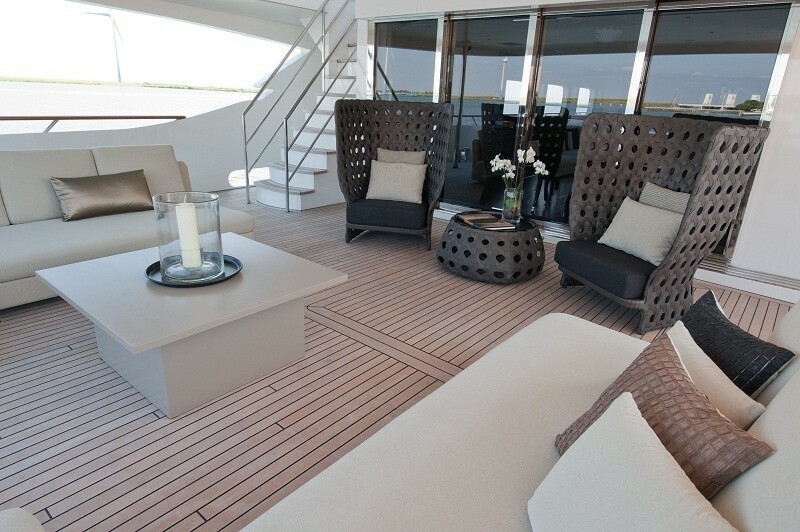 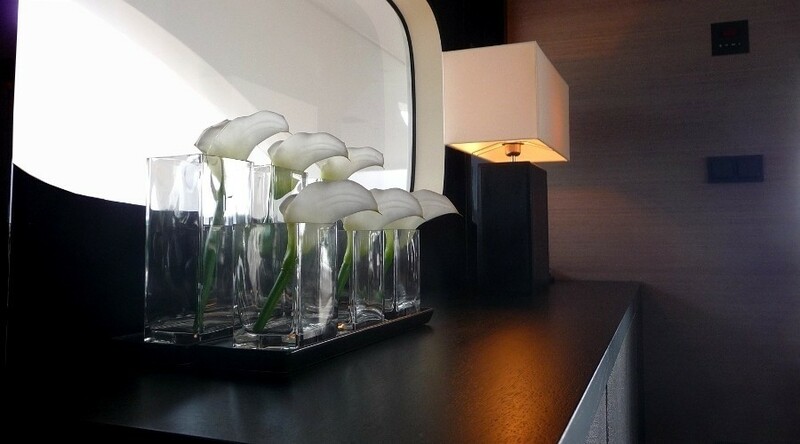 All the cabins receive plenty of natural light, enhancing the stylish décor. 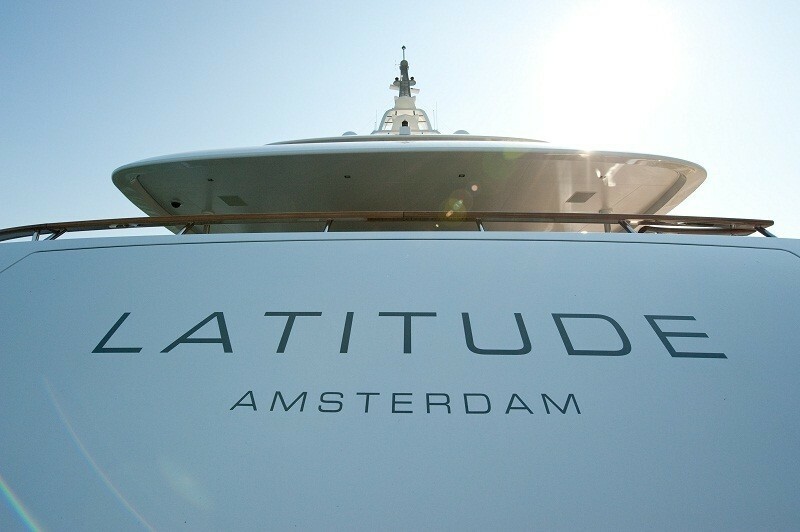 The LATITUDE motor yacht has the following Tenders + toys: a Castoldi jet turbo drive 5.3 Meters, 2 Wave runners SEADOO RXP 255RS, 2 Piaggio scooters, a windsurf, a Wakeboard (Adult and Youth) JOBE, Waterski (Adult and Youth) JOBE, 1 Monoski (Adult and Youth) JOBE, 2 Cross Country Bikes SCOTT Scale 80, 2 BROMPTON folding bikes, 1 Banana Boat towable, Scuba diving equipment, Snorkeling equipment. 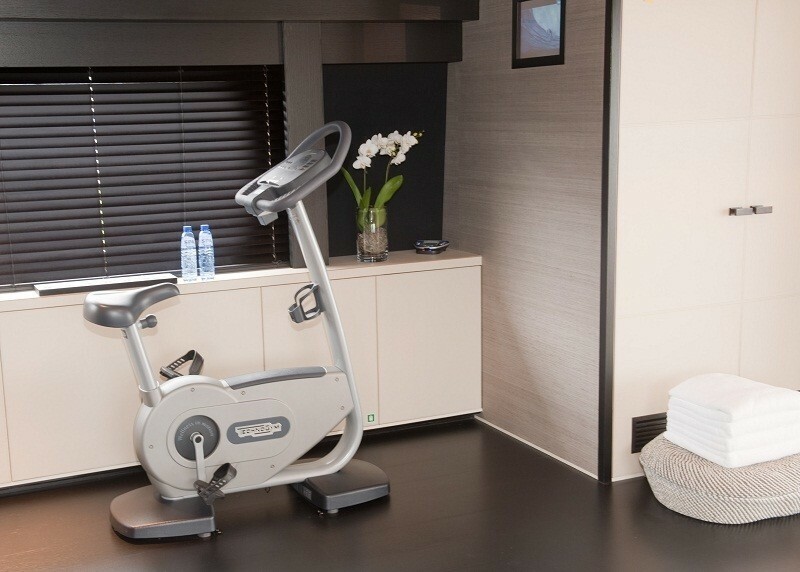 GYM EQUIPMENT includes 1 Exercise bike TechnoGym, 1 Treadmill, TechnoGym, 1 Exercise bench, 2 Exercis/Yoga mars, 1 Massage table, Weights upto 30 kg.